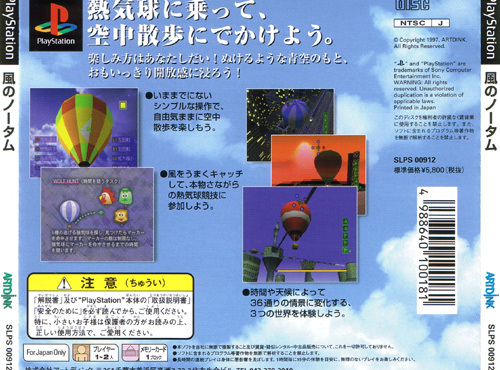 Welcomed addition to the strangely under populated genre of hot air balloon game. Not very strictly goal based allowing you to savour the feel of the thermals and unwind, or as the packaging enquires: "Did you Luxuriate in the wind?" 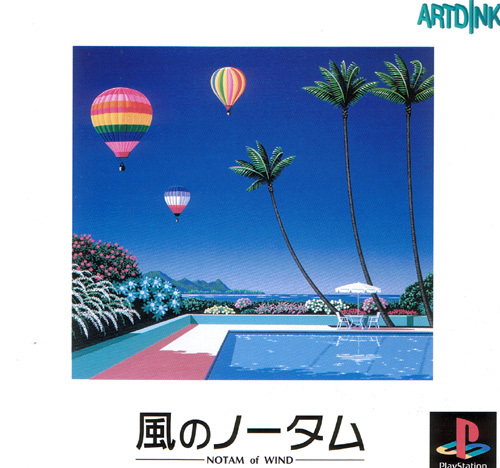 Appropriate plinky plonk tunes only interrupted by the blast of the burner as you cruise the skies trying to hit the targets (and rival balloons) with bean bags. 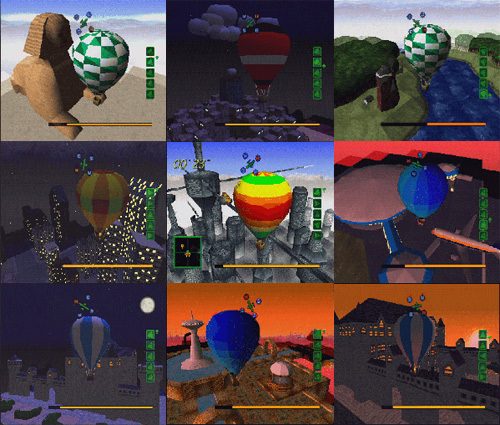 Just like real ballooning though the winds aren't always blowing in the direction you'd like and you'll need to keep an eye on the map. Features some mini challenges too. Also known as Kaze no Notam.